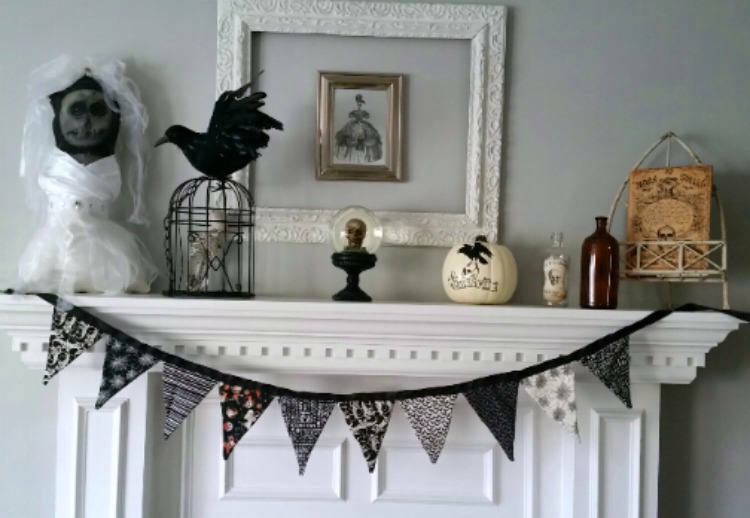 The Perfect addition to your Halloween decor. 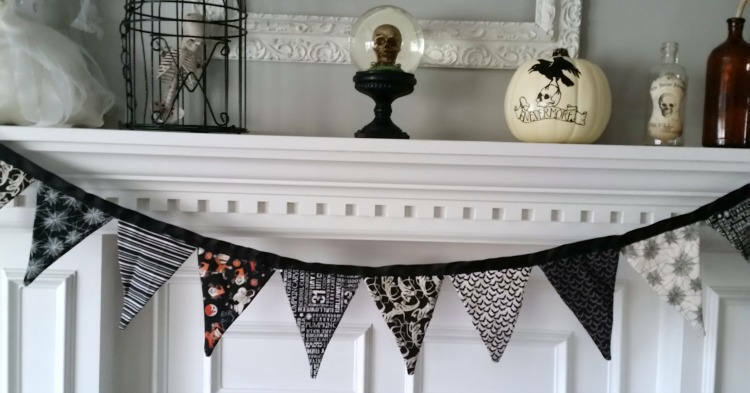 This fabric banner would look great on a mantle, wall, or strung over a door frame. 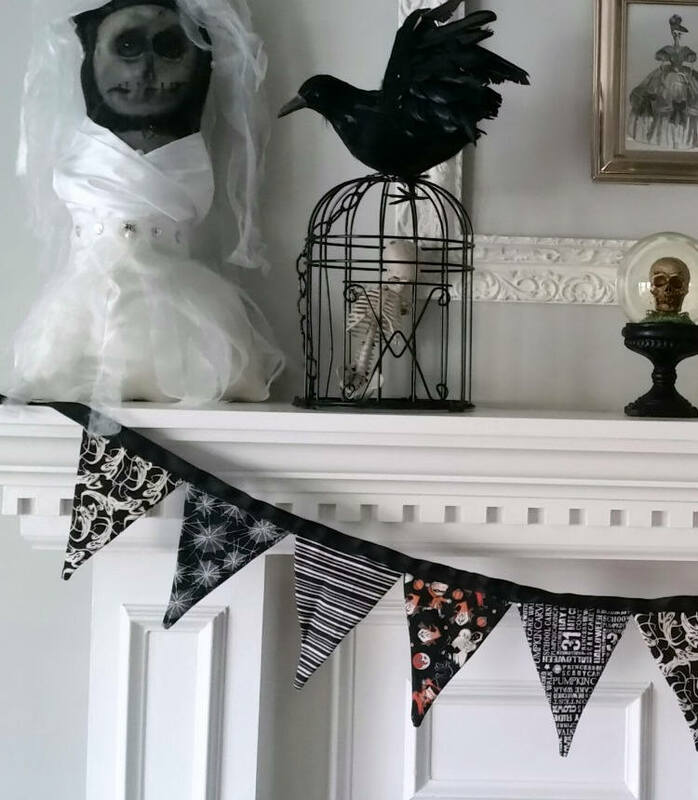 Pennants are double sided so it can be displayed from both sides. 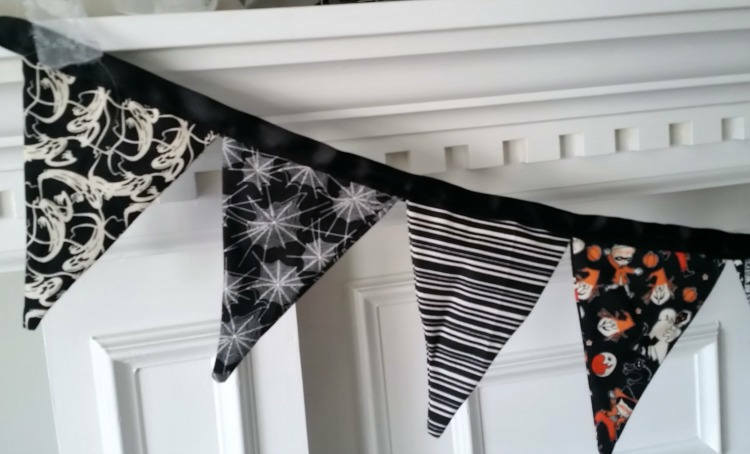 Panel are 5" wide and approximately 7 " long, 10 double sided pennants and strung with black binding. This banner can be used year after year! It is washable and you may iron if needed. Recommended for indoor use only. 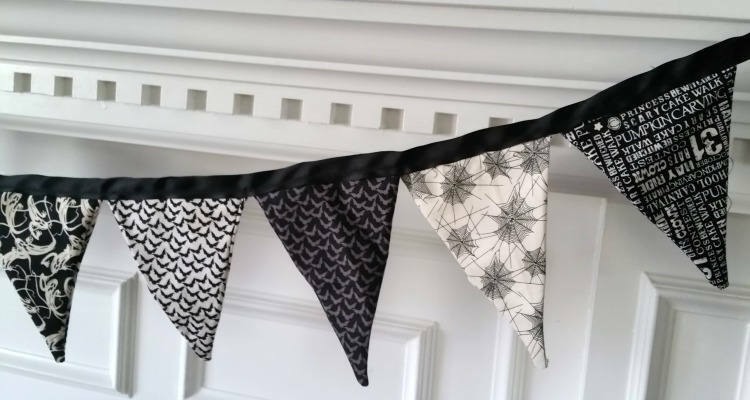 Each pennant is approximately 5" wide and 7" long. Banner from 1st pennant to last pennant is approximately 5 feet with lots of ribbon left for hanging.